It’s shaping up to be a three-horse race for the last two European qualification spots for Rugby World Cup Sevens 2018 after Russia capture the Lodz Sevens title. 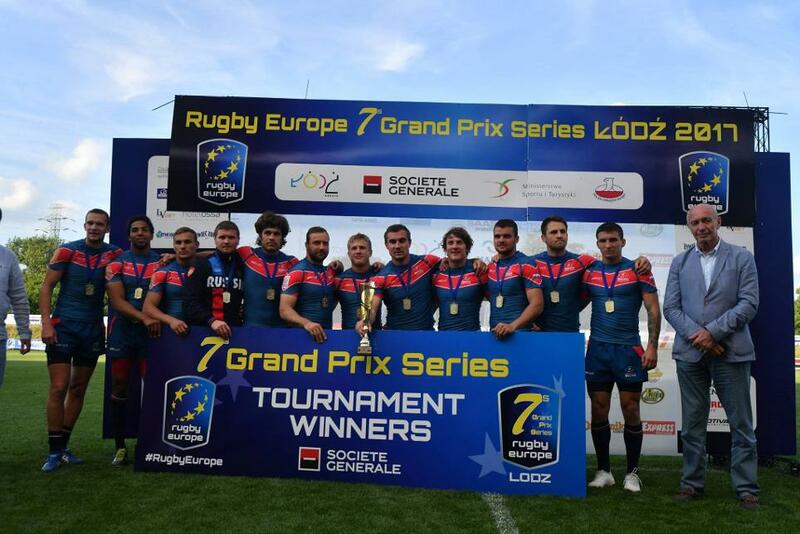 Russia showed great resolve to win the Lodz Sevens in Poland and at the same time improve their prospects of appearing at Rugby World Cup Sevens 2018. In a reversal of fortunes from last week when they finished third on home soil in Moscow, the reigning Rugby Europe Grand Prix Sevens champions took the second leg of this year’s four-tournament series, with Moscow Sevens champions Ireland having to settle for the bronze medal on this occasion after a narrow semi-final loss to their more experienced rivals. Having lost 24-7 to Wales in their first match, Russia bounced back to book their place in the quarter-finals with wins over England (24-7) and Italy (29-7). They then had to dig deep in each of their knockout matches to prevail. Georgia pushed them all the way in the last eight despite losing a man to a red card, before it took a last-gasp try from captain Vladimir Ostroushko to deny the Irish a second consecutive final appearance in their debut season on the series. In the gold medal match, Russia found themselves 12-0 down against Spain but came back to lead 19-12 with seconds remaining. 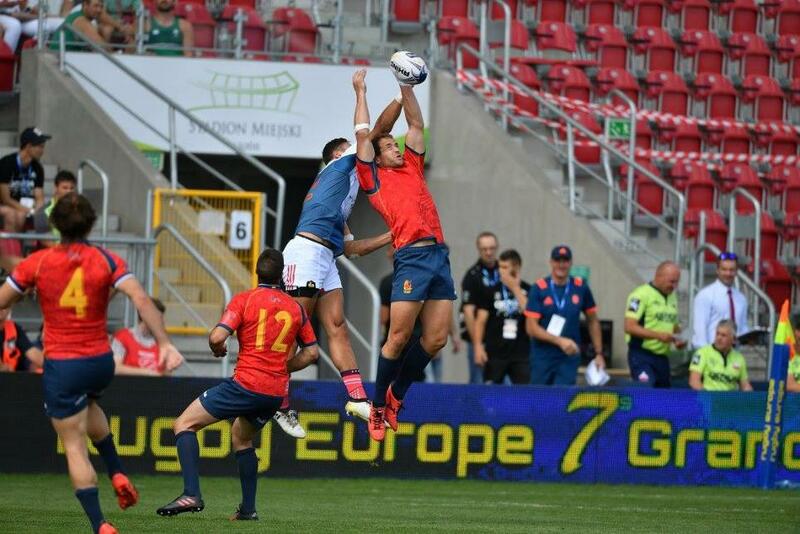 However, Spain scored a length-of-the-field try to take the game into sudden death extra-time. Receiving the ball from the kick-off, Russia kept possession through several phases and stretched the Spanish defence one way and then the other until HSBC World Rugby Sevens Series star German Davydov was left with a simple walk-in wide out on the right, meaning Los Leones Sevens had to settle for second-place on the podium for the second tournament running following their runners-up finish in Moscow. Ireland, Spain and Russia are now tied on 36 points at the top of the overall standings in what is increasingly looking like a three-horse race for the last two available European qualification places at RWC Sevens 2018 in San Francisco. England, France and Wales have already qualified after reaching the quarter-finals of RWC Sevens 2013, while Scotland will be there too, thanks to their seventh-place finish on the HSBC World Rugby Sevens Series 2016-17 and among the four highest ranked sides outside the nine pre-qualified teams. The Grand Prix Series now moves on to Clermont-Ferrand in France (24-25 June), before concluding three weeks later in Exeter, England (15-16 July).